This is a great way to create storage in that little extra space that is just wasted. Great for kitchens, laundry rooms, bathrooms, bedrooms, and even craft rooms or toy rooms! CREATE ADDITIONAL STORAGE SPACE EASILY – This 3-tiered shelving unit organizer can be used ANYWHERE. The slim storage rack’s 4.75” design can fit an almost any narrow space. Ideal for closets, kitchens, bathrooms, garages, laundry rooms in homes, apartments and even offices. PORTABLE SHELVING UNIT – Four wheels attached to the base of the slide out pantry storage rack making it easy and convenient to pull in and out of narrow spaces. INSTANT 3-LEVEL ORGANIZER – Make life more simple and less cluttered with this convenient slide out shelving unit. 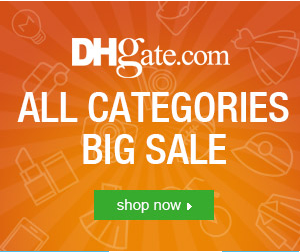 Great for canned food, spices, laundry supplies, pet supplies, home and bath cleaning supplies, and even kid’s toys. PRODUCT DETAILS – Measures 28″ High x 19.5″ Long and 4.75″ Wide approximately when assembled with 3 tiers of shelves. Individual Shelves: 3.5” deep. Made from durable plastic. Color: White. Quickly and easily assembled. 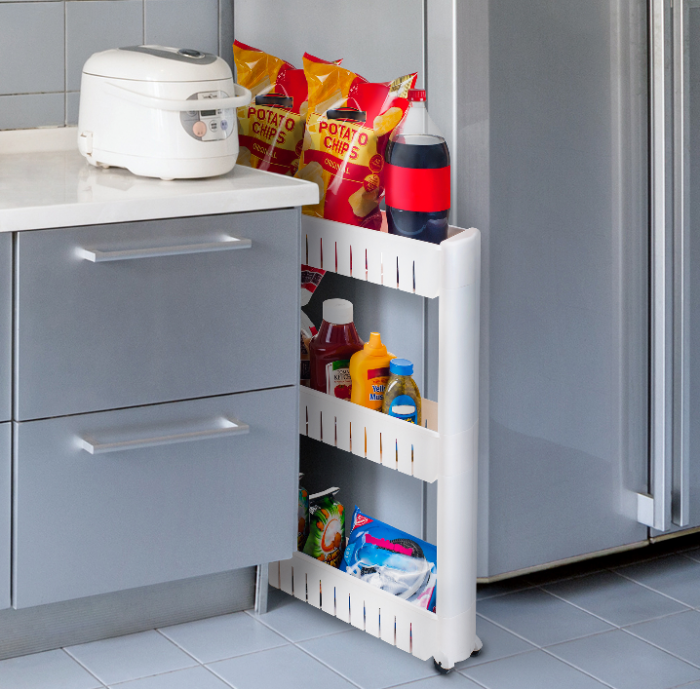 Save space with this Slim Slide Out Pantry Storage Rack by Everyday Home! The 5″ wide shelves are perfect for squeezing into tight spaces like next to the refrigerator or in between your washer and dryer. PVC wheels make it easy to move from room to room!